We recently used S&J and had a great experience. They were very knowledgeable, well priced and fast. After picking out the carpet, it was installed and finished in under 2 weeks which was much appreciated. Will use them again! 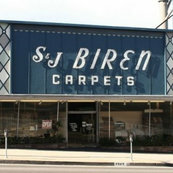 Jill from S&J was very helpful with suggestions and answered all the questions we had. The installer were great and we could’t be happier with the carpets!